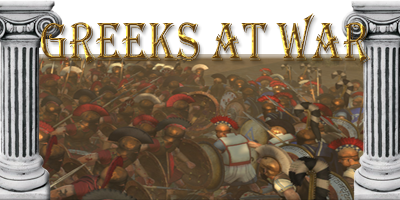 ►Mod Description: Greeks at war is a mod for rome 2, recreating the Peleponnesian war with the Wrath of Sparta expansion. It adds almost 200 new historical units, many new campaign mechanics such as a manpower system. Changes have also been made to many other areas like the ai, ui etc. It's a historical mod but not in any way has that affected gameplay. Last edited by Gigantus; February 12, 2016 at 05:39 AM.